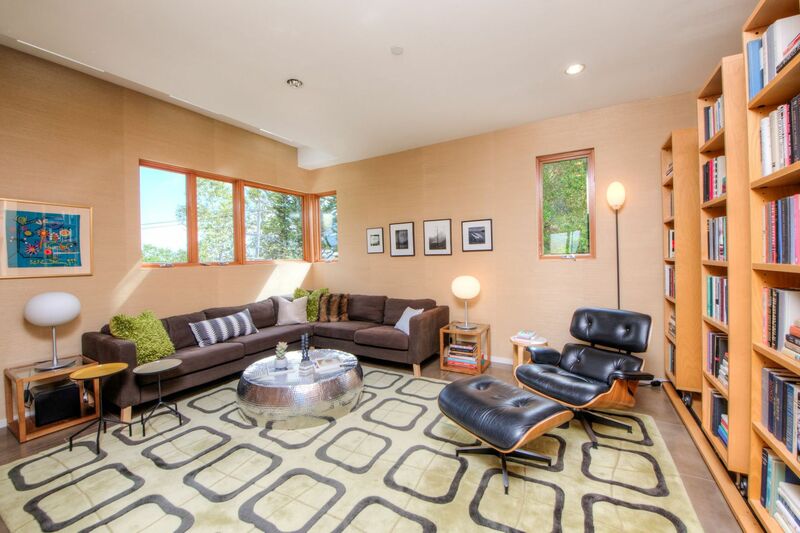 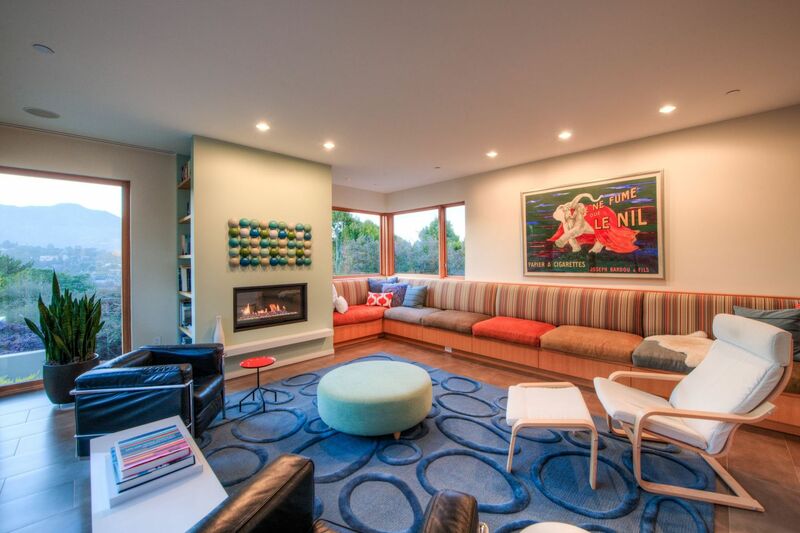 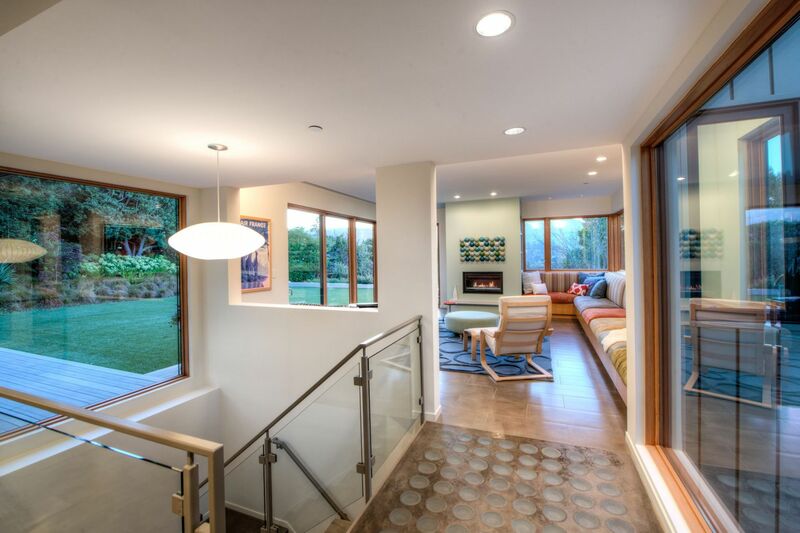 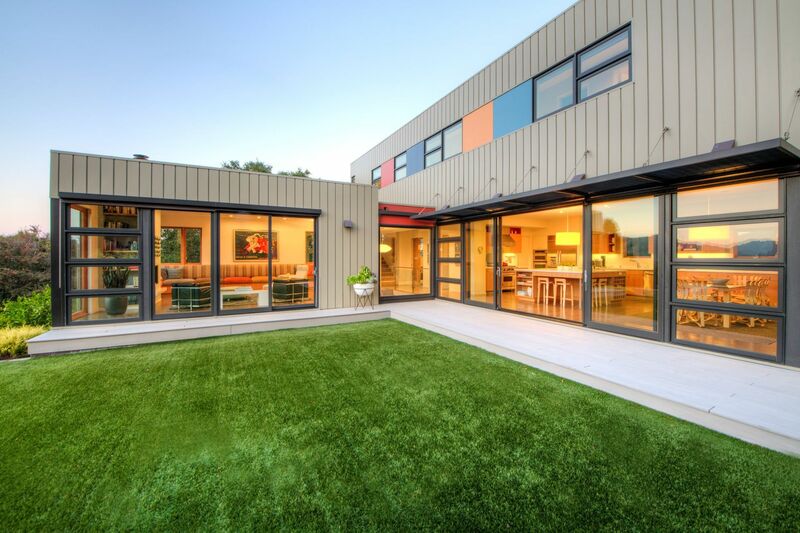 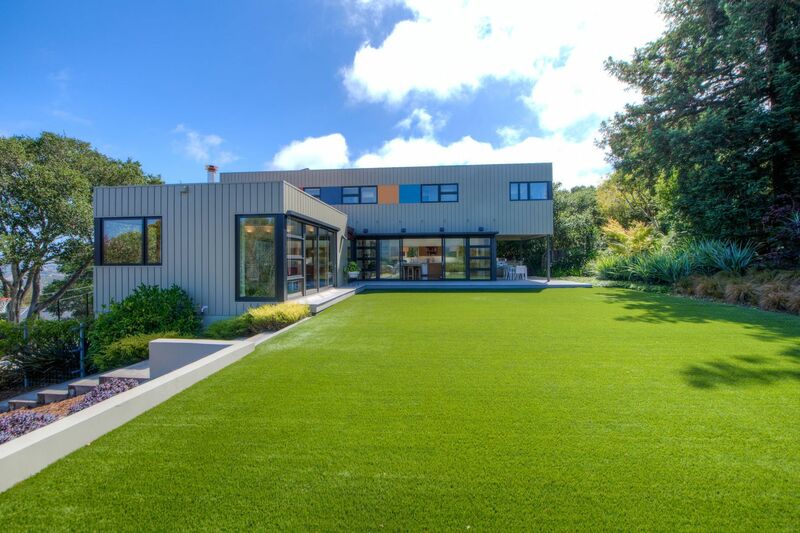 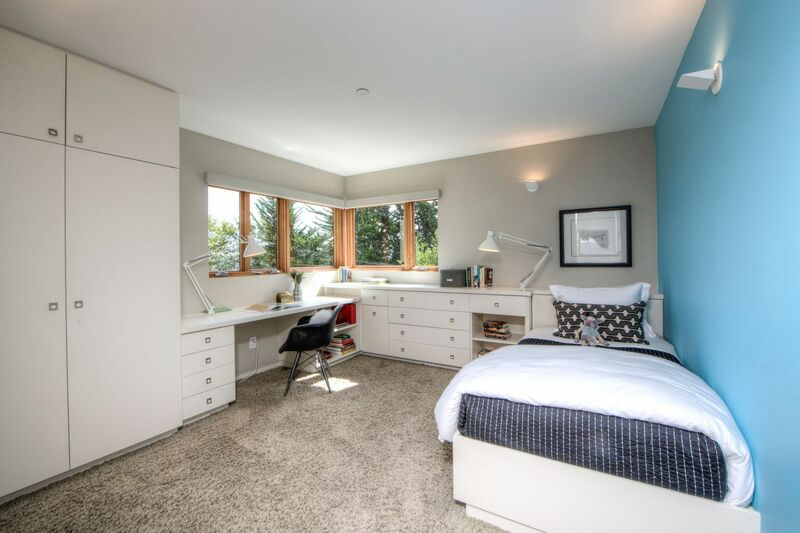 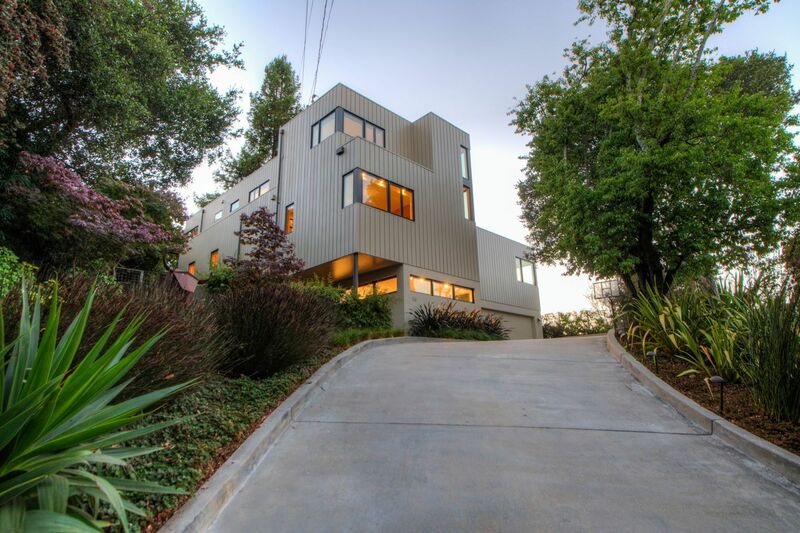 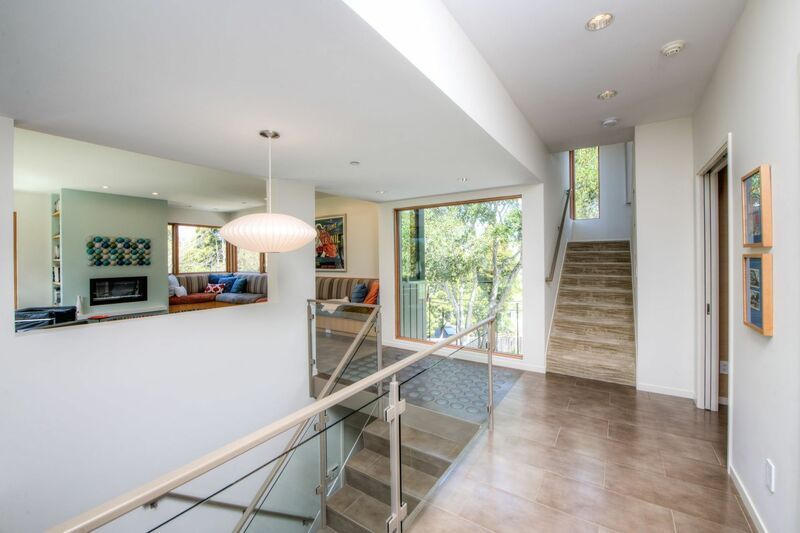 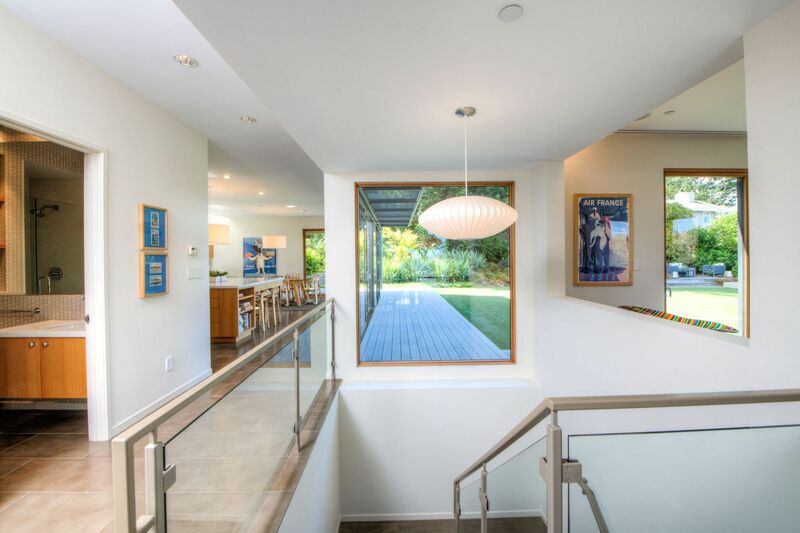 Designed by an architect for her own family’s home, and featured in magazines and architectural tours, 16 Loring Avenue is a stunning blend of modernist style and easy indoor-outdoor living. 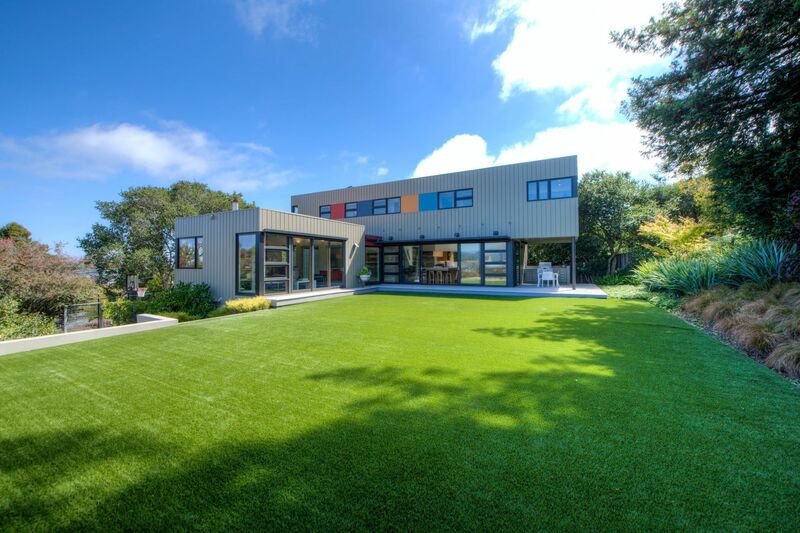 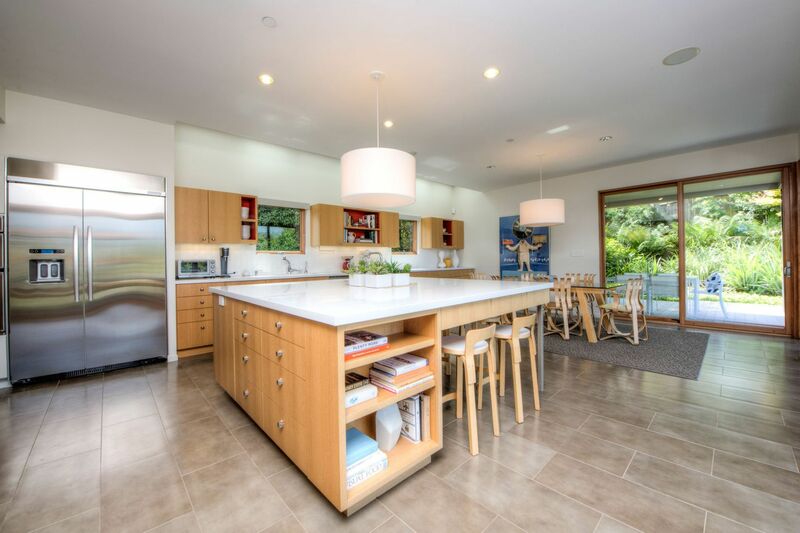 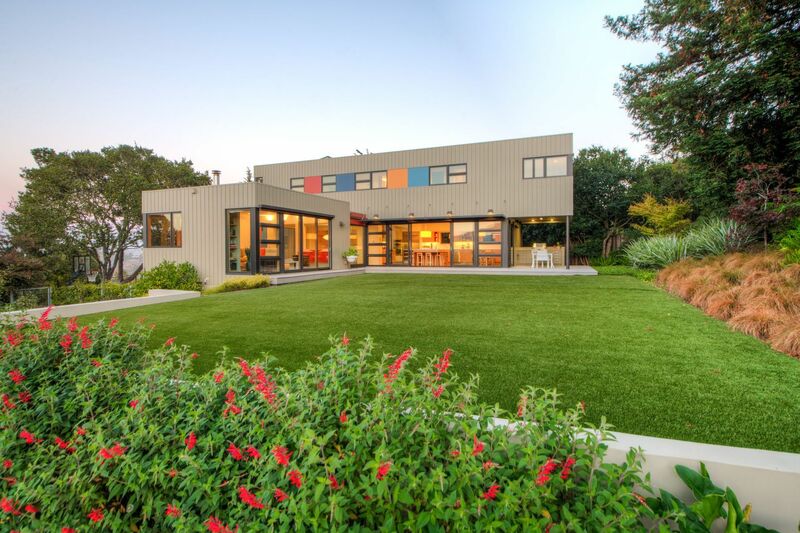 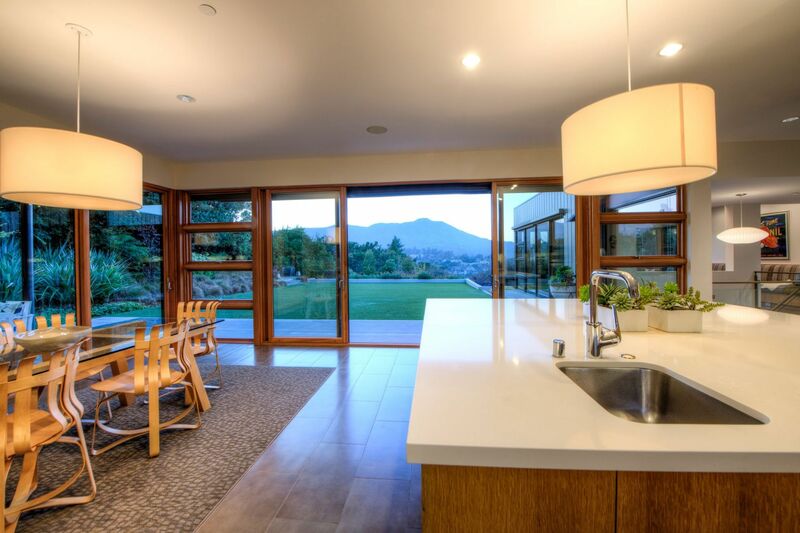 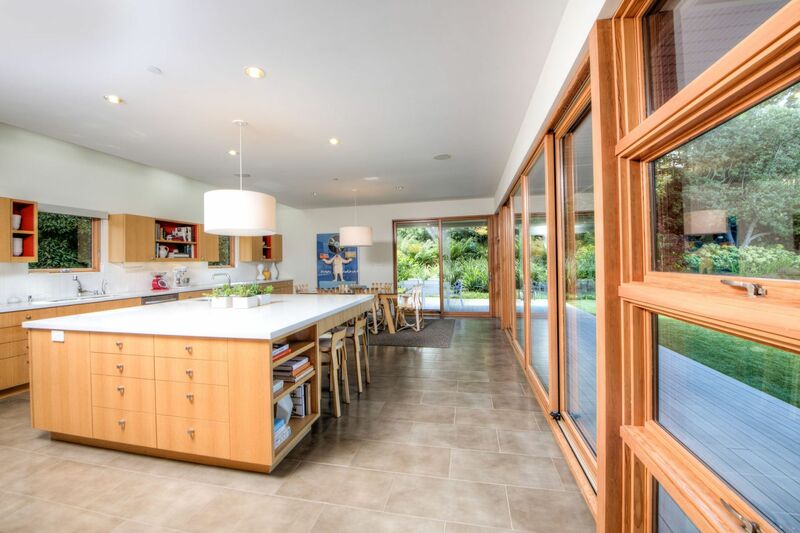 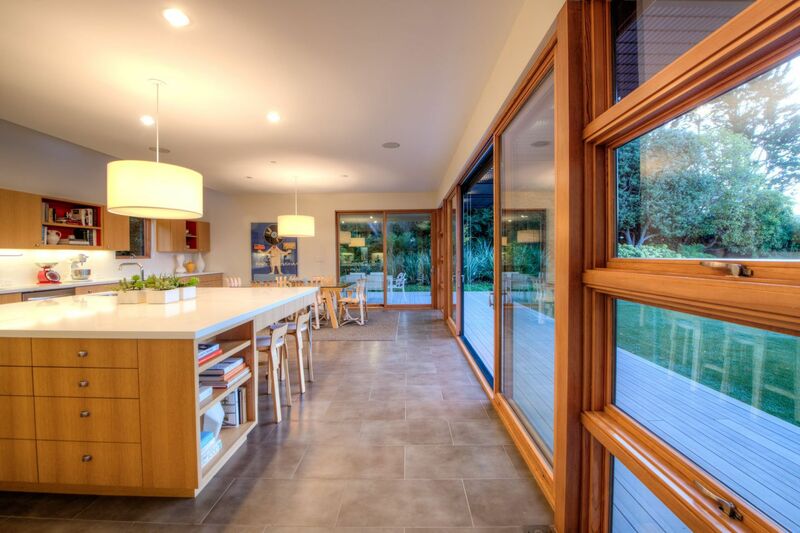 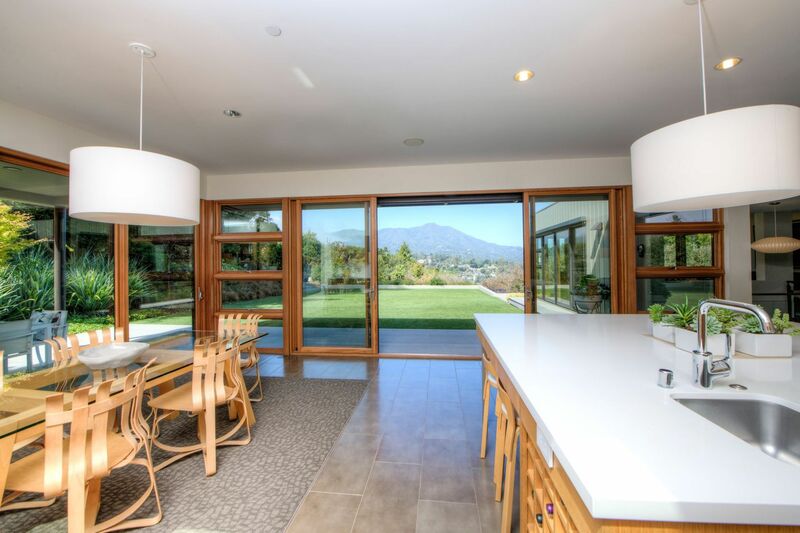 The heart of the home is an expansive kitchen and dining area, opening to a sunny, huge flat yard with head-on Mt Tam views. 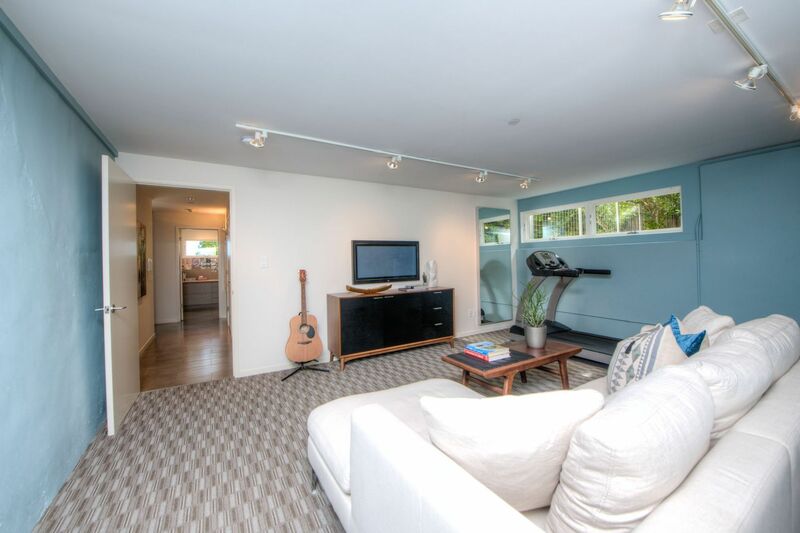 The functional and versatile floorplan features an office and rec/media room on the lower level, and three bedrooms including master suite upstairs. 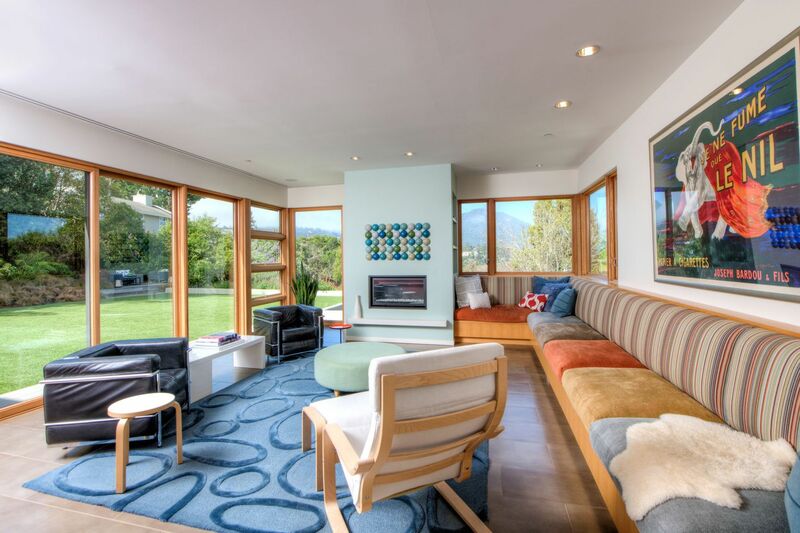 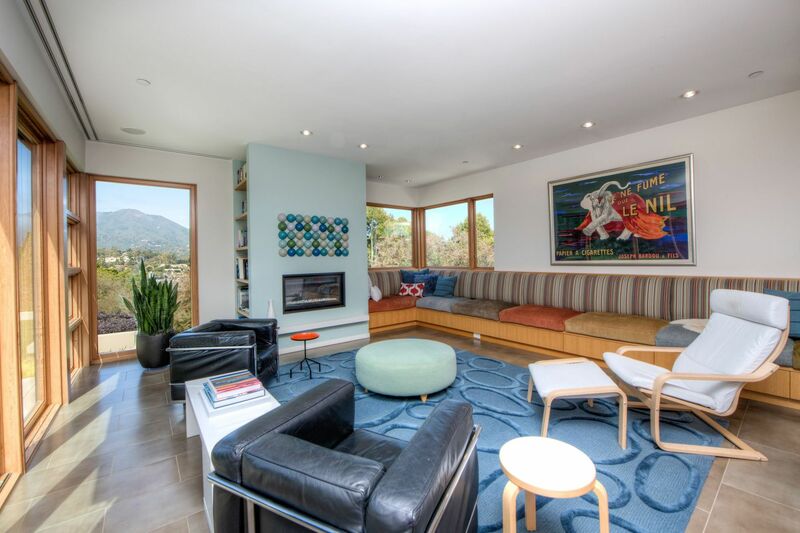 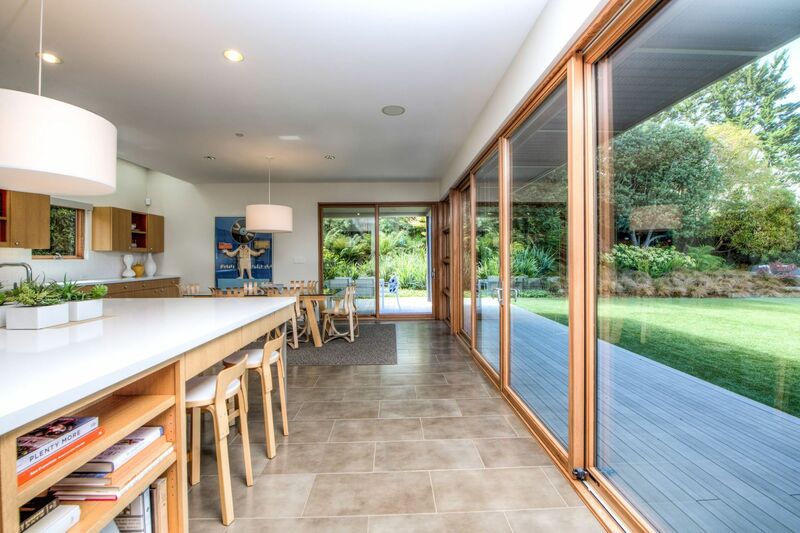 The open plan main level has a den/family room with rolling bookcases and media cabinet, living room with gas fireplace and built-in sofas, and the central kitchen and dining room, all flooded with natural light and flowing seamlessly to the outdoors. 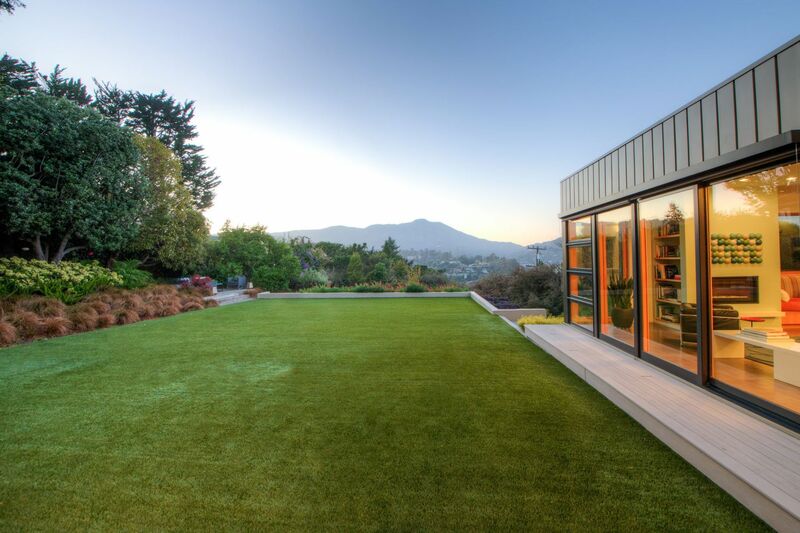 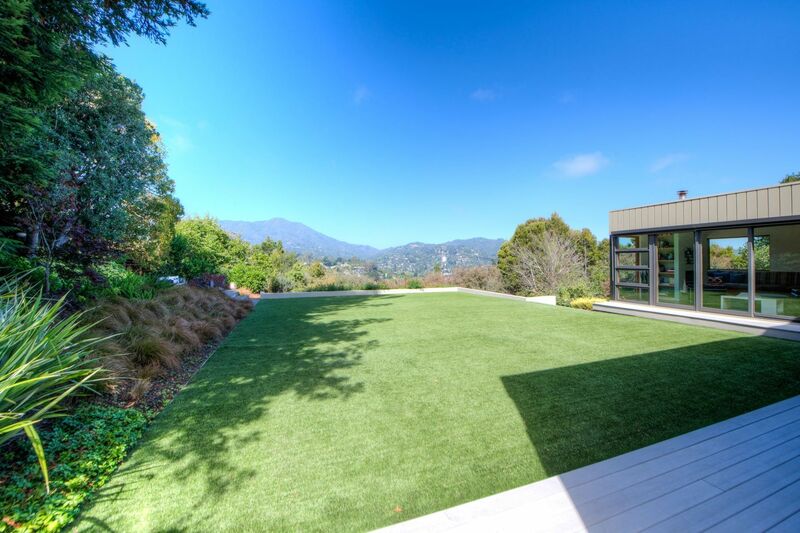 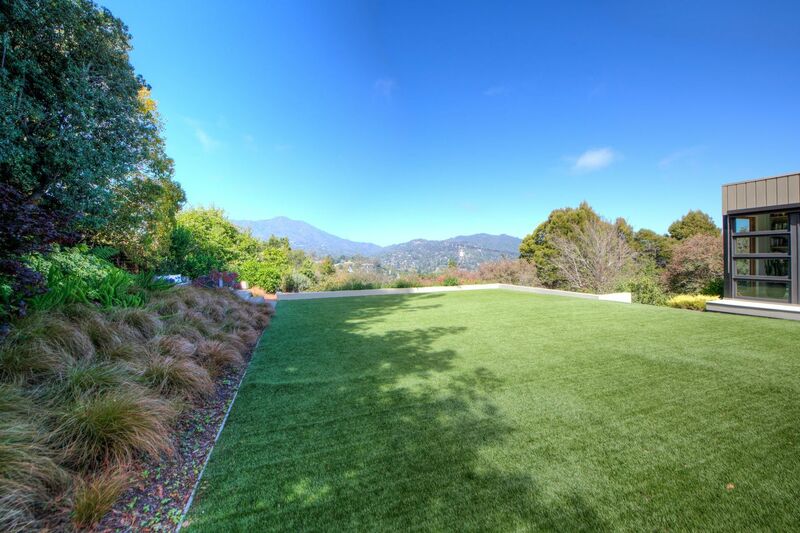 The approximately half-acre lot offers multiple areas for play and outdoor living, including a built-in BBQ, sprawling turf lawn, vegetable beds, and additional undeveloped land with room for pool or guest house. 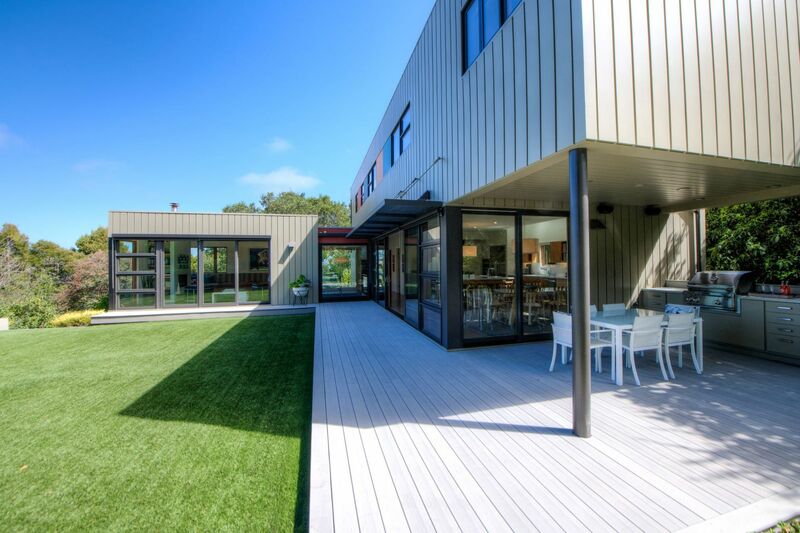 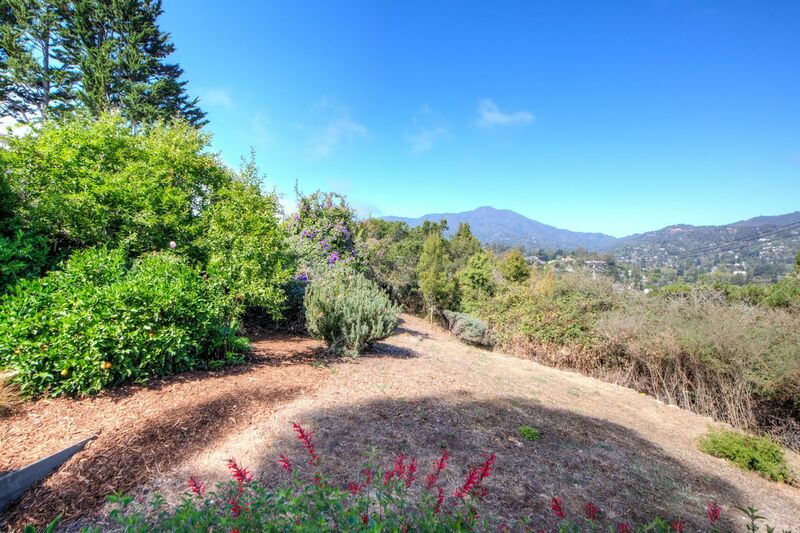 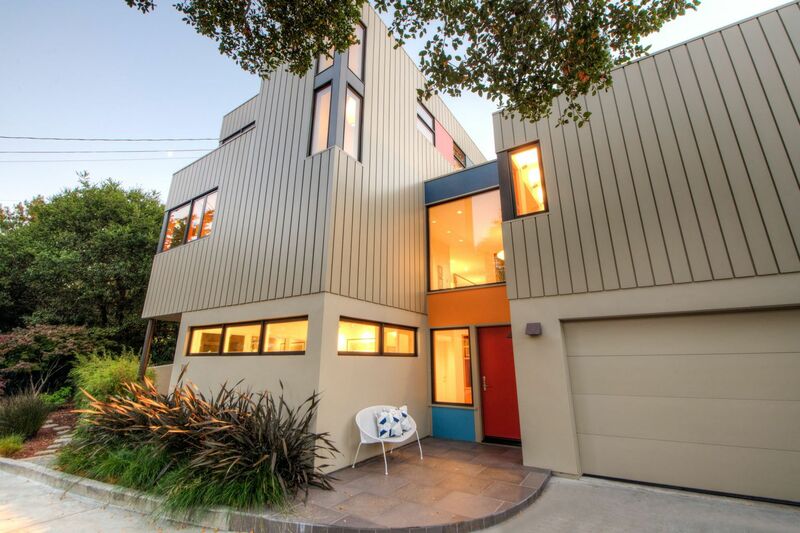 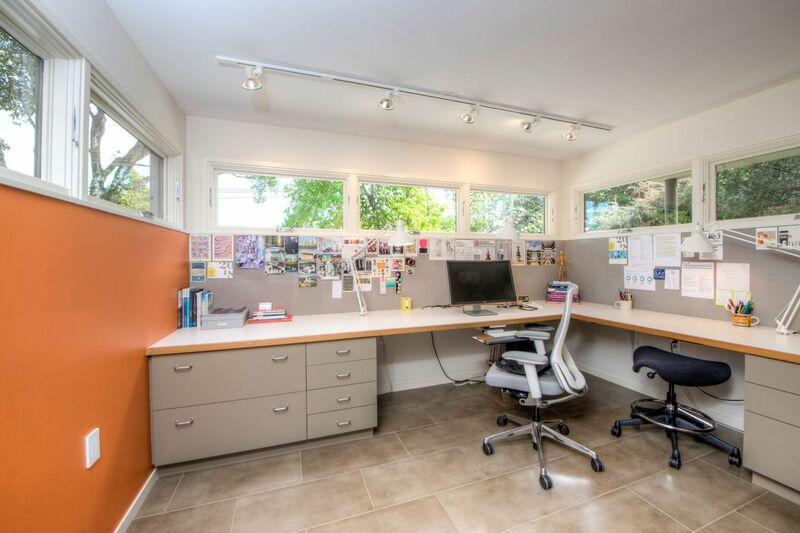 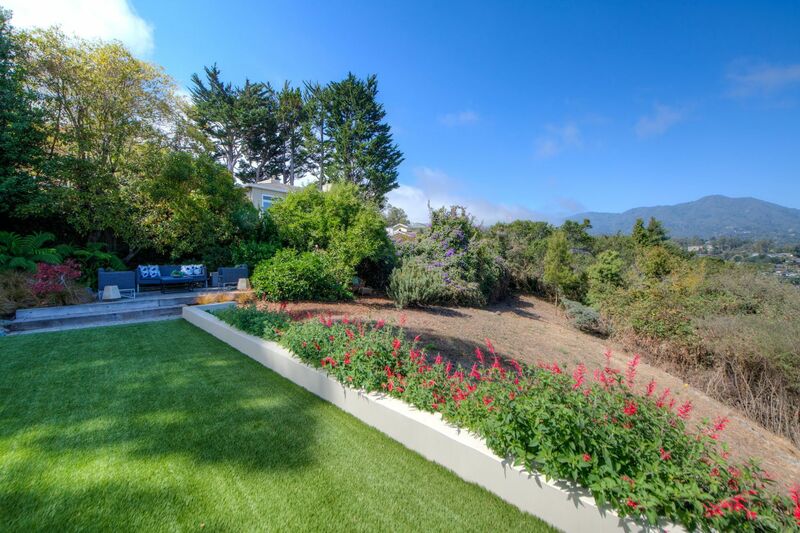 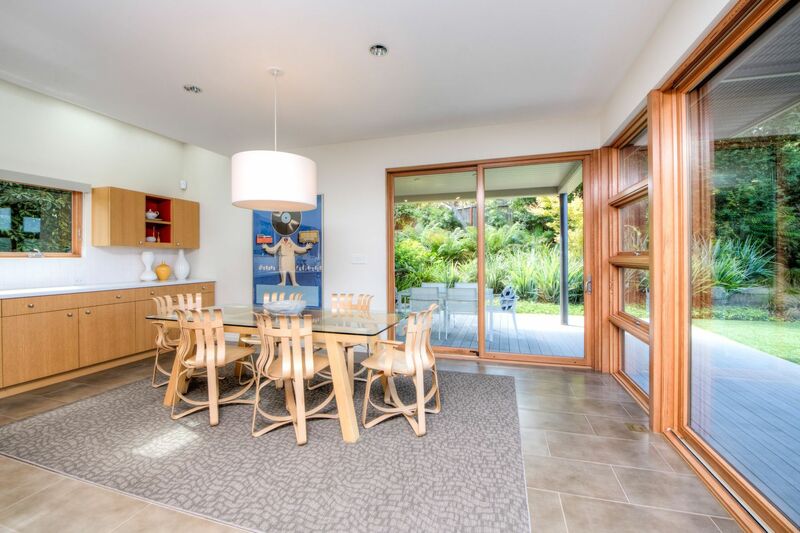 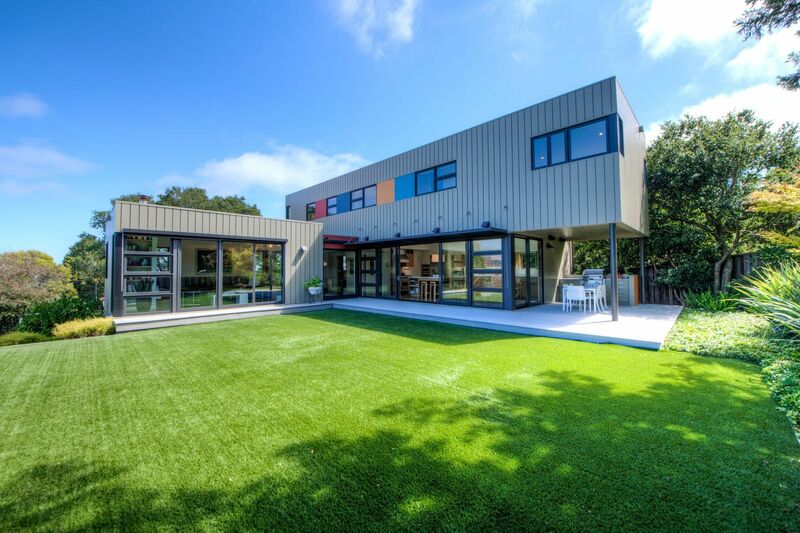 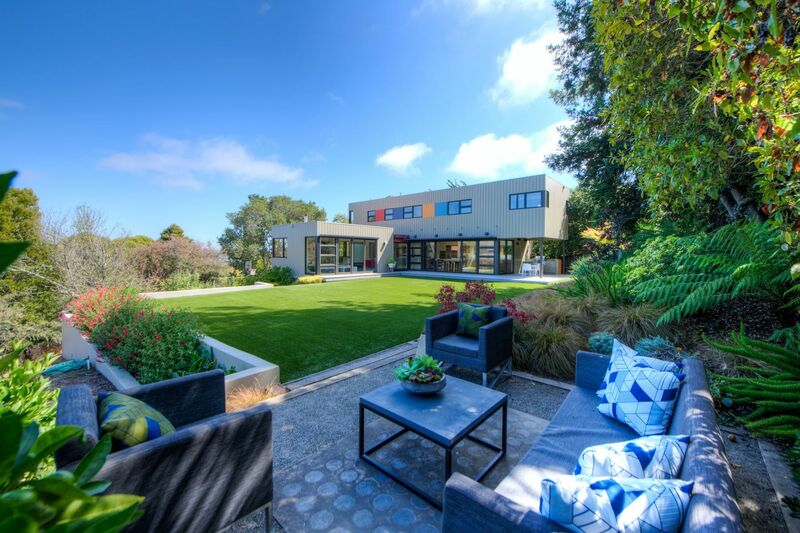 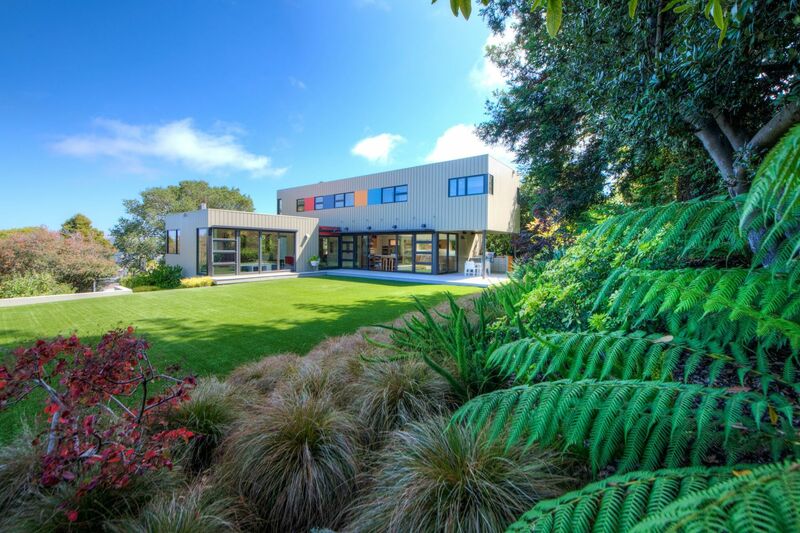 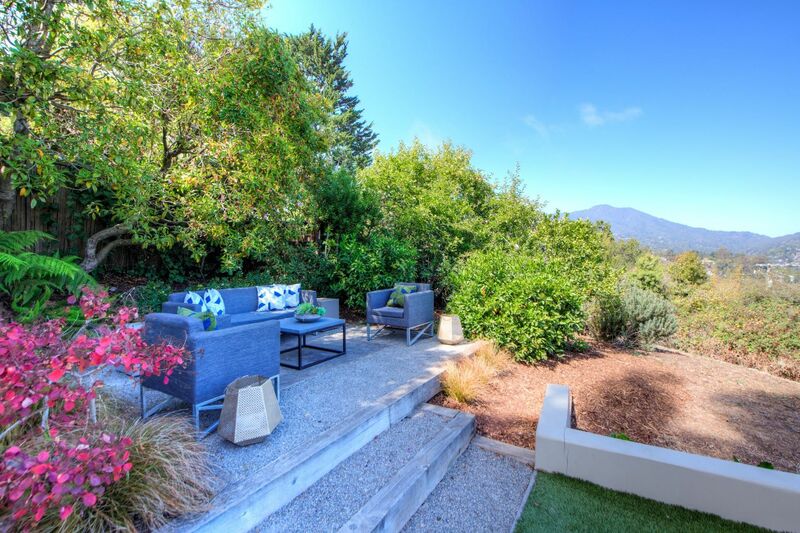 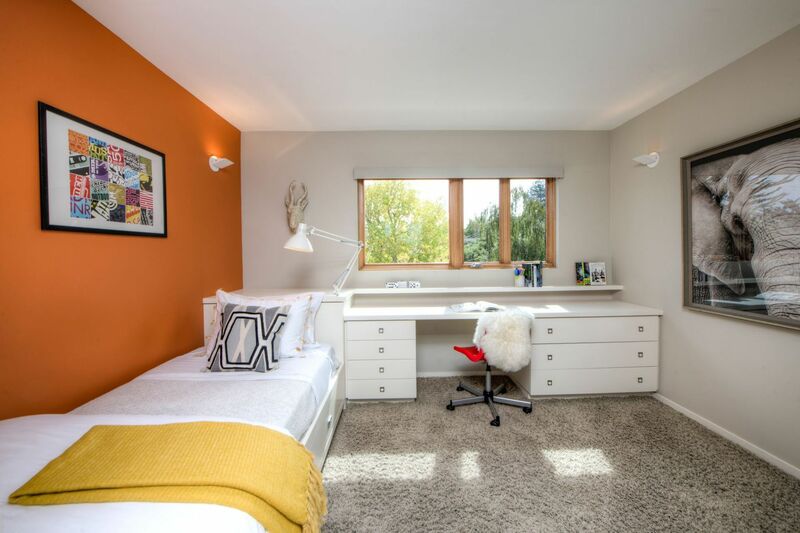 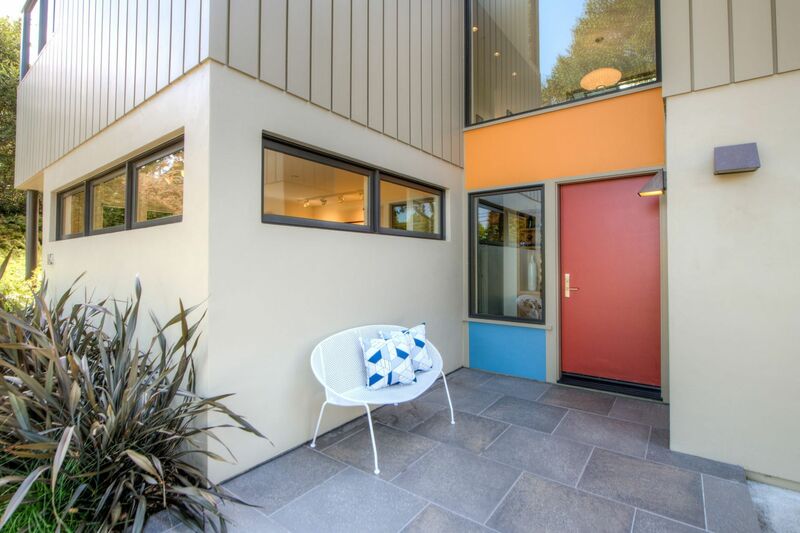 Located in a prime Homestead Valley location, there is easy access to downtown Mill Valley, Whole Foods, beaches, and hiking trails, with a quick commute into San Francisco.